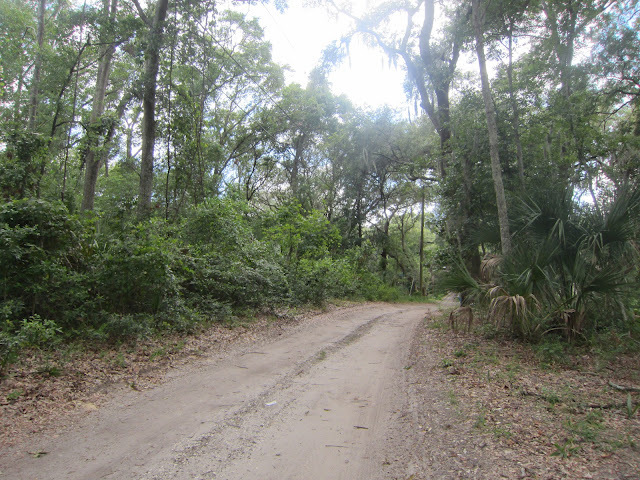 Irving and Apollo are unpaved roads, hilly, crowded in overgrowth and underbrush, just the landward side of the bluff, Dames Point peninsula. New Berlin was once a fishing and boatbuilding village in the late 1800s, but today it’s part trailer park, part junkyard, part woods. The Grey Hotel is a wreck of an old hotel that is grey beneath crows today in a grey sky. Thomas Grey jumped ship at New Berlin and deserted the United States Navy, 1876, sleeping in the woods the first night and in the home of his future wife Naomi the next night. Her father, a village preacher, had taken him in. In the next couple of years, Grey bought two large lots between the St. Johns River, Catherine Street paved with bricks, and unpaved Irving, and built a big two-story wooden house in which he lived and which he used as a riverfront village hotel. Cross State Towing Co. paid just under $700,000 for the entire site in 2005. The new owners wanted to knock down the Grey Hotel, so the City of Jacksonville sought protective historic designation status. The owners opposed the designation and refused to speak to newspapers or preservationists about the old building, the last architectural vestige of old New Berlin. Cross State Towing offered to sell it to the Jacksonville Historical Society or to Planning and Development if either potential buyer would get the damn thing off his land. For Cross State Towing, such a deal would be like demolishing the building and making a tidy profit off of it at the same time. Somebody suggested moving the Grey Hotel to the Jacksonville Zoo. Somebody else said that idea was not only tacky, it was a misunderstanding of the power of place. The Grey Hotel bore its significant presence because of its architecture, and the Grey Hotel bore its sense of deep place because it had inhabited the bluff since 1878 or 1880. To move the house would be to slice the place in two. The idea was like King Solomon’s answer to the two women who each claimed one child. Solomon offered to give each of them half the child. The woman who wanted to spite the mother agreed, but the mother reacted in horror. Solomon returned the child to his mother. A verandah fronts both stories of the yellow pine clapboard hotel. It was ornamented with the carpenter art of its day, jigsaw decoration, vergeboard, and sturdy curlicued porch brackets. Caroline Street disappeared into the new channel the St. Johns River cut when the jetties were built at Mayport. The bricks of Caroline Street slipped out into riverbed, 1943. Grey’s heirs moved the hotel back from the disappearing shoreline and connected the kitchen building to the house. Thomas Grey himself had only died two years previous, 1941, 60-some years after he built the hotel. He had lived in it the rest of his life. His family kept the building until the early 1970s, seven years before it was ever wired for electricity, and when Cross State Towing bought the whole property 26 years after electricity came to the old Grey Hotel, no one in New Berlin knew exactly how many years the old place had been abandoned and empty. Catherine and Irving drove up New Berlin Road in their boxy 1970s van, the back of which was chockablock with various pieces of architectural salvage. They drove past Yellow Bluff Fort and past house trailers, one of which had a soiled recliner hanging out of where a window should have been. They drove up small gravelly hills. They drove by the century-closed New Berlin Cemetery. 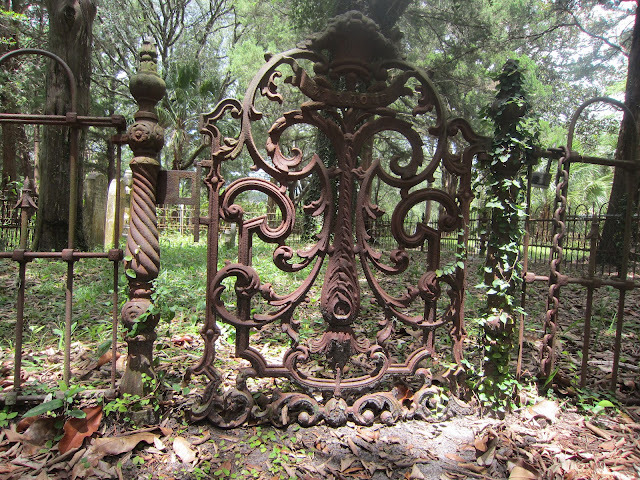 Moldered graves were enclosed in small oxidized iron gates from 140 years ago. These gates were enclosed in chain-link fences from 30 years ago, which seemed to be enclosed in other chain-link fences. The overall effect was of some kind of Chinese puzzle box or tangram of fences, confusing to navigate, walled off and isolated. Still, Catherine and Irving wanted to try it. Catherine had stopped the van and turned off the ignition, and the two of them were stepping out, when Irving noticed the house-trailer next door. The house-trailer next door was enclosed in its own chain-link fence. Also inside that chain-link fence were five, six, seven, no, they kept counting, 10, 11, at least a dozen, there were at least 12 brown pit bulls on chains in this one yard. Catherine and Irving could see the dogs’ ribs. One of the dogs stood with its legs splayed apart, looking dazed and dizzy. Its ribs showed noticeably. It stared at the dirt before it and looked like it might either fall over or lunge at the nearest thing that moved. Everywhere Catherine and Irving looked, they saw sickly dogs on chains and in cages. 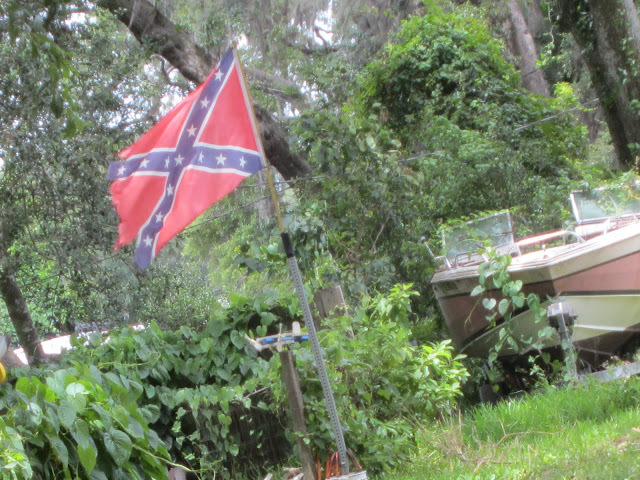 In the large living-room window by the front door of the trailer were the blatant black X and the stars and the red background of a Confederate flag. Catherine, Puerto Rican, and Irving, black, decided to forego wandering in the New Berlin Cemetery and get back in the van and keep driving. The two University of North Florida students were members of a new student psychogeography club. The idea was to dig into maps and find strange places and get out of the dorms and drive across town and wander around in the nooks and crannies of the town. Catherine was a Political Science major, Irving an English major. They studied as hard as they could study and they kissed and stuck their fingers in each other’s bountiful, wonderful hair whenever they weren’t studying. The van belonged to Catherine’s uncle Eduardo. He had let them use it for their weird outings, on one of which they had stowed into the back a stained glass window that featured the omnipresent Warner Sallman Jesus. Another time, they piled in a couple dozen bricks of an old storefront they had gone out to see and found just torn down. Once they just picked up a stop sign knocked down in the road. By now, they could not keep from driving out to weird niches of town or non-town, stuffing idiosyncrasies in the back of the van, and sticking their fingers in each other’s lush hair. 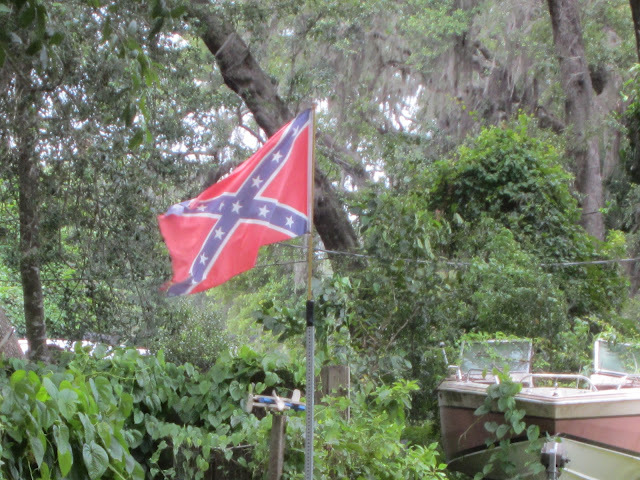 Around the corner from the house-trailer of the dozen sick pit bulls and the flag of the South’s racist code of honor, the UNF psychogeographers drove into an opening field against the river, in which were parked a dozen cars, a slowly collapsing wooden water tower with no tank, and the Grey Hotel. In the back of the Grey Hotel, the porch listed and tilted like a planet. Boards warped upward. One large hole gaped in the floor. In the front of the Grey Hotel, the porch listed and tilted like a planet. A set of stone steps stood out from the riverside porch, as though they once connected the fields to the hotel, though the hotel had since backed away from them. All the windows were boarded up. Work trucks were parked in a line against the hotel, as though their drivers resented the fact that the building still stood, but had parked far enough away that a strong enough wind wouldn’t lay the Grey Hotel on top of them. Catherine and Irving circled the hotel on foot, trying to imagine it having been lived in, trying to imagine it lived in again. How many years, how many decades had it been? Then they saw the Holy Grail of the trip. In bramble before a corner of the tall grey edifice, grey January grass and grey sky, lay a single jigsawed, curlicued porch bracket. They both moved toward it. Catherine picked it up. They immediately walked back to the van. Again they looked at the hotel falling down against the sky, then Catherine started up the van and drove slowly out of what was left of New Berlin. The bracket became a psychogeographical icon. Irving imagined its future home and shrine. Irving imagined an old house, a small house, somewhere in Riverside or east downtown, maybe near St. Johns Episcopal Cathedral, and this small hidden, anonymous place would be PsychoGeoHouse, filled with framed images of Hogan Street, 1920s, and the lost Hotel Albert, and the “New St. James Hotel, Jacksonville, Fla., cor. Julia and Monroe Streets, An Up-To-Date First Class European Hotel,” and Forsyth Street and Hotel Aragon, and a stained glass window and a Jax Beer “the Drink of Friendship” sign, and this old gargoyle and that fire escape from this demolished hotel. And the members would come to PsychoGeoHouse with their papers and their Cloak-and-Dagger and talk about this strange corner of town-not-town they had wandered or give their accounts of a haunted house or occult corner of Springfield or occluded creek kayaked through the Northside. They would come to PsychoGeoHouse with historical and architectural alchemy and they would be the true mayors of the secret and true city the way Percy Bysshe Shelley claimed that poets were the unacknowledged legislators of the world. Amongst and amidst, in PsychoGeoHouse, this jigsawed porch bracket from the Grey Hotel hangs on the wall. 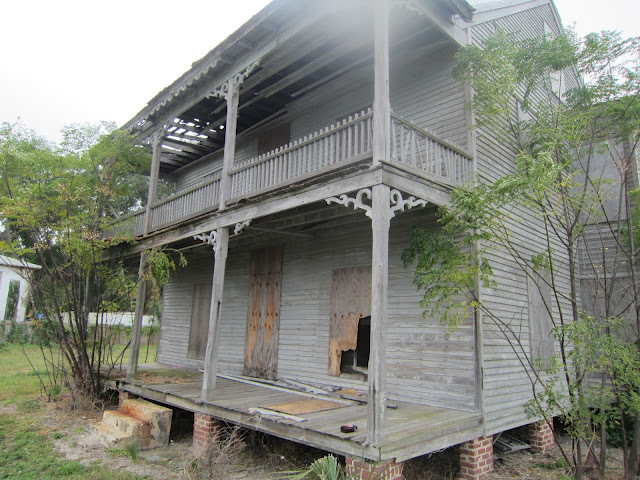 Down 9A to St. Johns Bluff Road toward UNF, they passed the 133 year-old pine porch bracket back and forth. The bracket felt substantial, but not heavy. It could have been 10 years old. It contained its own togetherness. It felt old but strong, strong because it was old. This bracket was the substantial lastingness of the carpentry of more than a century ago. Catherine held the bracket in her lap and imagined it’s the beating heart of Thomas Grey, momento mori; Irving held the bracket in his hands and imagined it’s his newborn son. 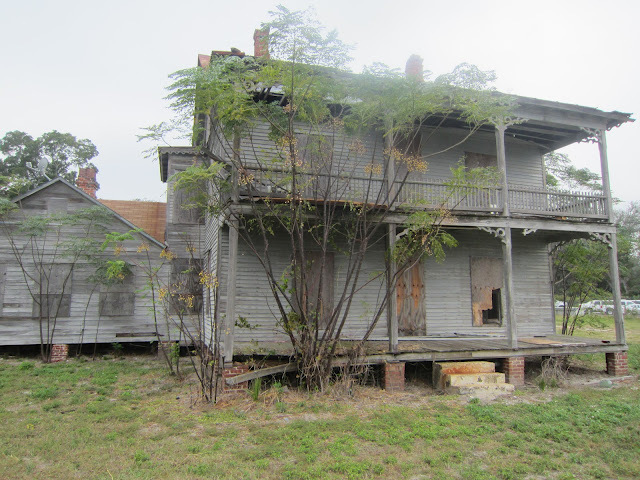 More than 130 years ago, a carpenter held the bracket in his hands and fastened it to the top of a second-story porch post on the Grey Hotel in New Berlin, Florida.